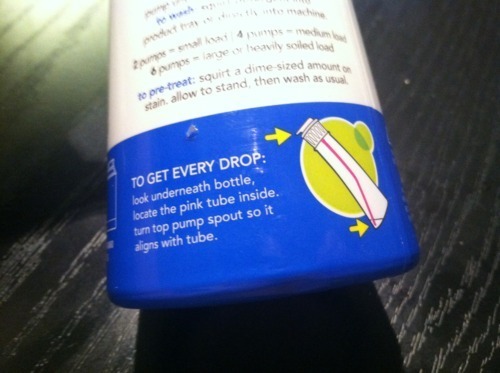 method has already been lauded for their innovative laundry detergent bottle design. It uses a pump, unique to this market, which dramatically cuts down on the mess. Not only is the pump tube angled gently to help get every last drop, but it’s also brightly-colored so it stands out against the translucent white plastic of the bottle! A brilliant little design touch that addresses a common problem. Great!